I hadn't even gotten through the table of contents and already had an emotional breakthrough and cried. Don't let the scholarly format scare you: this book is engaging enough to read on the subway (and a great place to cry, too!). 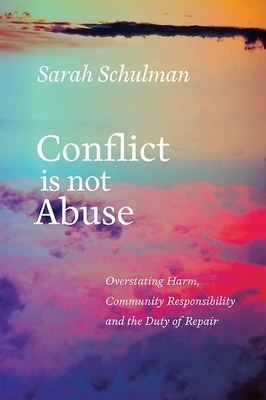 You won't agree with everything Schulman says, but you will learn a lot about the (probably unhealthy) ways you deal with conflict. Get ready to dig deep.